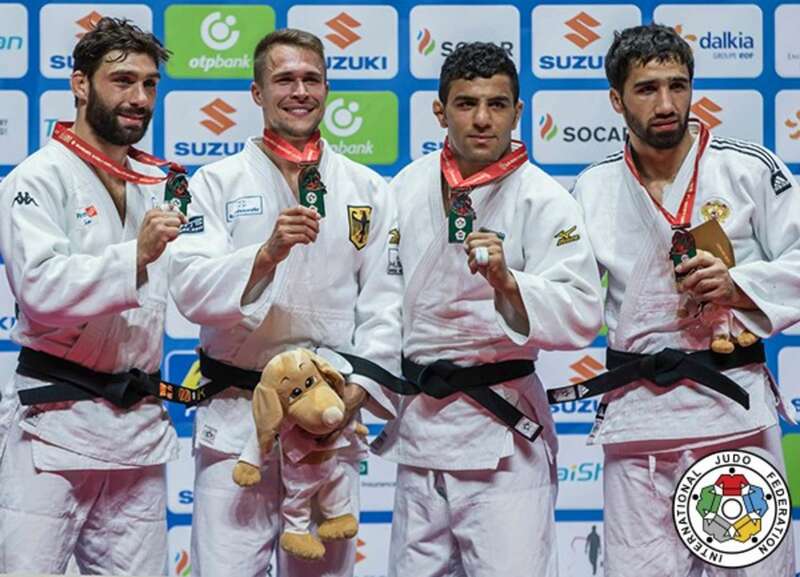 The fourth day of the 2017 Suzuki World Judo Championships belonged to Europe’s elite as France and Germany struck on Thursday at the László Papp Budapest Sports Arena. France and Europe won their first and Europe’s first gold medals in Budapest as Japan missed top spot for the first time and missed the medal podium all together after a below-bar display from defending world champion and Rio 2016 Olympic bronze medallist NAGASE Takanori (JPN) who exited the competition in the preliminaries. France’s Clarisse AGBEGNENOU won her second -63kg world title while German outsider Alexander WIECZERZAK was an unlikely winner in the -81kg category. Before the medal contests on day four, IJF Hall of Famer Neil ADAMS shared his expertise and thoughts on the 2017 Suzuki World Judo Championships with CNN in a special Facebook live session. IJF President Mr. Marius VIZER announced an exciting collaboration between the IJF and CNN during the IJF Congress last week and the first episode of the new Judo World series, a 30-minute magazine show, will be based around the seven-day competition. Click here to visit the judo microsite on CNN’s website and follow their CNN Sport social media channels for updates and reaction from the IJF’s World Judo Tour’s Budapest blockbuster. Rio 2016 Paralympic powerlifting silver medallist Ali JAWAD arrived in Budapest today to watch his first sporting passion and the sport that inspired him to global success at the Paralympic Games. ParalympicsGB athlete JAWAD, 28, who was born without legs, started judo in London upon the recommendation of his P.E teacher who was a judo black belt. “I trained judo from the age of 11 to 15 and I absolutely loved it,” said JAWAD who is working to go one better than he did in Rio and to win gold at Tokyo 2020. “My disability was not part of the Paralympic programme for judo, it's only visually impaired judo, so I needed to find a new sport to pursue my dream of competing for Great Britain on the highest stage. I picked up powerlifting and things worked out for me. “It is judo that has made me the man I am today thanks to the sport’s moral code. I often think back to my judo days and the values that I learnt on the mat will be with me for life. 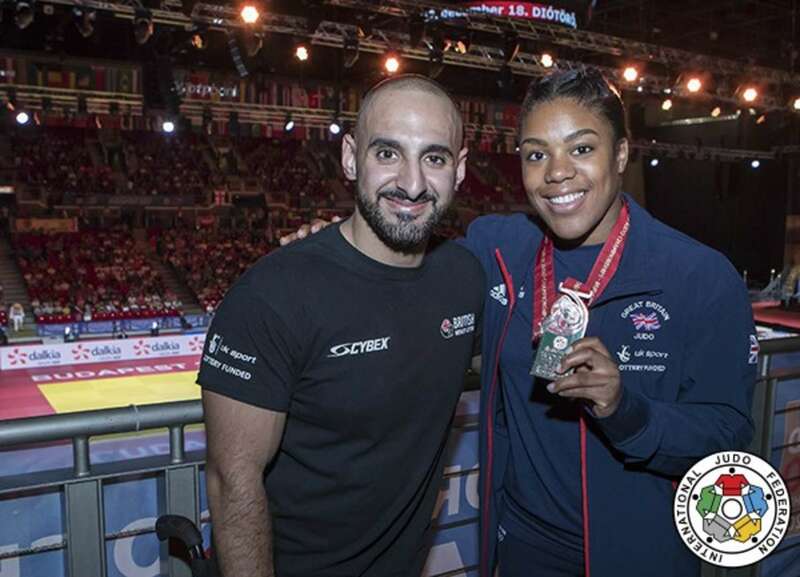 After speaking to the IJF, JAWAD was introduced to British star Nekoda SMYTHE-DAVIS who won the first Worlds medal for the British Judo Association since 2010 on Wednesday with a herculean effort in the -57kg category. On Friday, the competition heats up with three weight categories set to be disputed. The women’s -70kg and -78kg categories will be contested with -70kg triple world champion and double Olympic medallist Yuri ALVEAR (COL) among the many stars in action. The men’s -90kg category will also crown a world champion with world number one Aleksandar KUKOLJ (SRB) aiming to make history for Serbia. 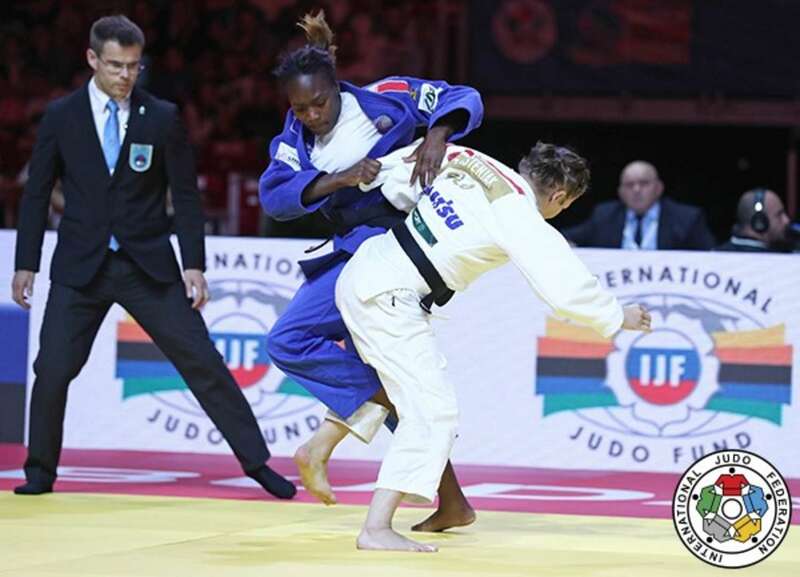 Rio 2016 Olympic silver medallist Clarisse AGBEGNENOU (FRA) conquered reigning Olympic and world champion Tina TRSTENJAK (SLO) to become a two-time world champion. The rematch of the Olympic final and the last Worlds final was hotly-anticipated as two most decorated judoka in the category successfully negotiated the preliminary rounds to take their place in the gold medal contest. AGBEGNENOU had lost her last four contests against the rampaging Slovenian but showed mental as well as physical power to hand France their first world title in Hungary. The Frenchwoman, who was world champion for the first time in 2014, was at her dynamic best in Budapest and forced TRSTENJAK to commit basic errors as the Slovenian received three shidos and the red backpatch reserved for the reigning world champion finally had a home. AGBEGNENOU said: “This is unbelievable for me, I am so happy to be world champion again. Tina is a good opponent but today I said this was my day and I needed to win for myself and to get my title back means everything to me. “I think I had a good rhythm and I was prepared for anything today. From the moment I arrived in the arena I believed that today would be my day." In the first semi-final TRSTENJAK defeated World Judo Masters bronze medallist YANG Junxia (CHN) in golden score in a slow burner that could only be settled after five minutes of additional judo when the Chinese judoka was penalised for the third time. In the second semi-final AGBEGNENOU bested former Abu Dhabi Grand Slam bronze medallist Agata OZDOBA (POL) in golden score by the smallest margin possible and one which can only occur in added time. 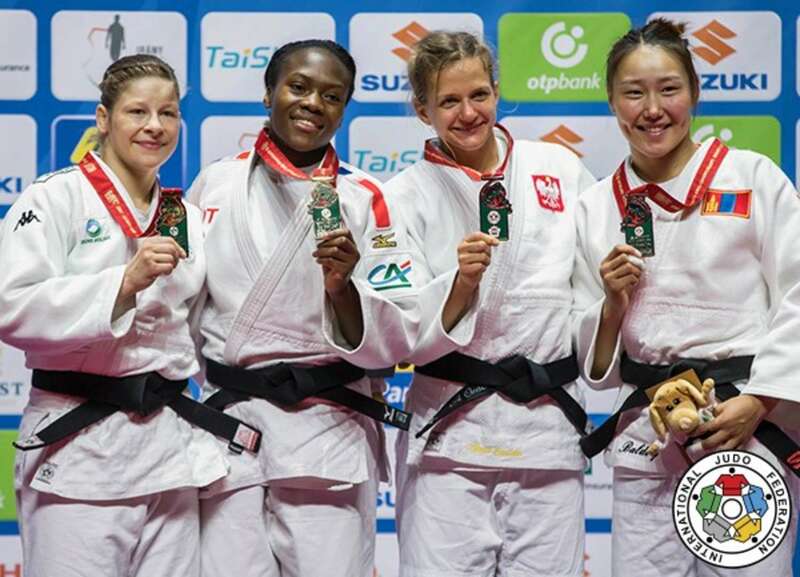 A shido against the Polish judoka for a false attack created a separation between the two on the scoreboard and it was AGBEGNENOU who advanced and confirmed her fourth consecutive World Championships medal. In the first bronze medal contest world number 56 OZDOBA surprised European Games winner Martyna TRAJDOS (GER) to win her first major medal and open Poland’s medal account in Budapest. A waza-ari in golden score was the difference as Germany’s medal hope came up short. In the second bronze medal contest world number 18 and Asian Championships silver medallist BALDORJ Mungunchimeg (MGL) defeated YANG with a high-flying uchi-mata for ippon. Mongolia have shone all week and now have five medals from four days and still have interest and medal hopes on the remaining three days of competition. Rank outsider Alexander WIECZERZAK (GER) produced one of the stories and most astounding displays of the 2017 Suzuki World Championships so far as the world number 124 was crowned world champion. Former Tyumen Grand Slam bronze medallist WIECZERZAK had never won an IJF senior event before today and missed out on selection for the Rio 2016 Olympic Games. The 2010 Junior world champion was not the only unexpected participant in the -81kg final as he opposed world number 61 Matteo MARCONCINI (ITA) who finished fifth at the Rio 2016 Olympics. Both judoka upset former world medallists to grace their first World Championships final and it was the German judoka who reigned. 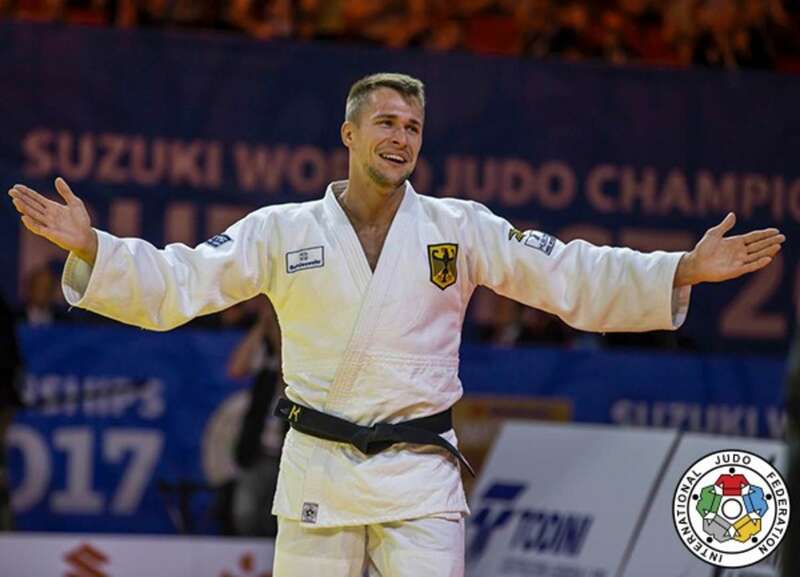 WIECZERZAK became the first male German world champion since 2003 and the fourth in history as he added to his name to the record books alongside Udo QUELLMALZ (1991 and 1995 world champion), Daniel LASCAU (1991) and most recently Florian WANNER (2003). WIECZERZAK submitted his Italian adversary with shime-waza to seal a remarkable World Championships victory and one of the greatest moments of this new Olympic cycle towards Tokyo 2020. “I cannot believe what I have just done,” said WIECZERZAK who was in tears on the medal podium when the German anthem played at the László Papp Budapest Sports Arena. In the first semi-final WIECZERZAK stunned Rio 2016 Olympic champion Khasan KHALMURZAEV (RUS) by a waza-ari score from a drop seoi-nage. In the second semi-final MARCONCINI booked his place in the World Championships final by throwing Baku Grand silver medallist Saeid MOLLAEI (IRI) with an ouchi-gari for a waza-ari which was the only score of the contest. 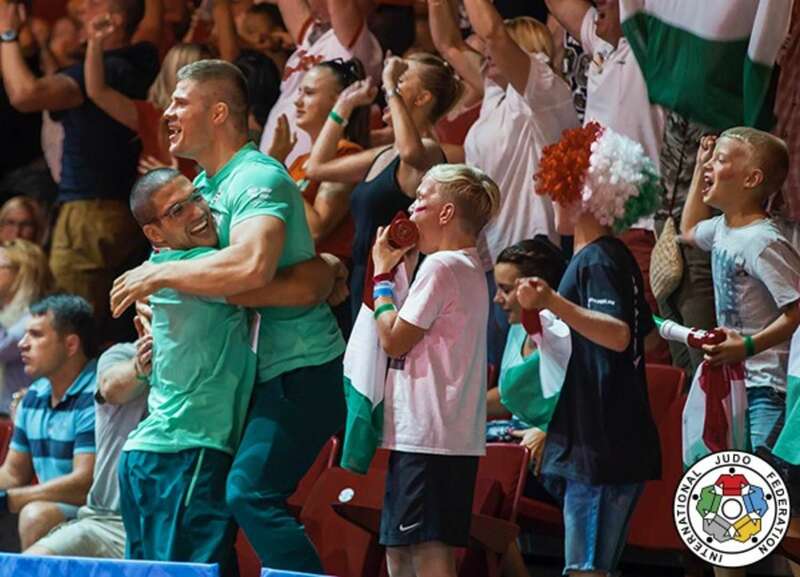 In the first bronze medal contest MOLLAEI saw off CSOKNYAI Laszlo (HUN) as the hosts are still without a medal as the competition passed the halfway point. A modified ura-nage from MOLLAEI started as a Hungarian attack but the Iranian took over the technique for ippon and the best result of his career. In the second bronze medal contest KHALMURZAEV defeated OTGONBAATAR Uuganbaatar (MGL) with two waza-ari scores after the Mongolian had led in the early part of the contest.